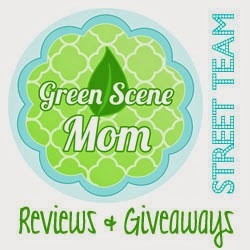 I have blogged for Drammy Droopers before and here is my first post HERE. This is the first time I was able to try out one of her cloth diapers. 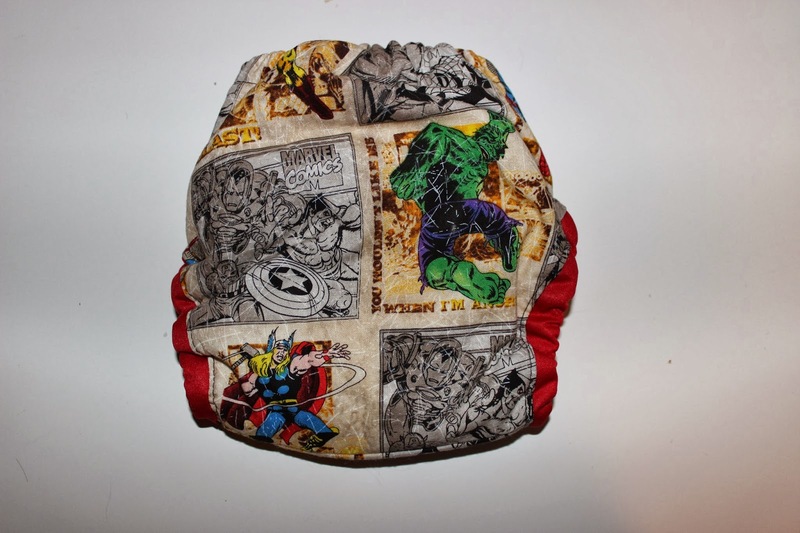 I received a A12 Pocket diaper in the Super Hero print and they retail for about $25 Here is the diaper. I love it even my 11 year old son was impressed with the print and he could care less about cloth diapers. It has a 3 row snap rise and this diaper will fit from 10-35lbs. 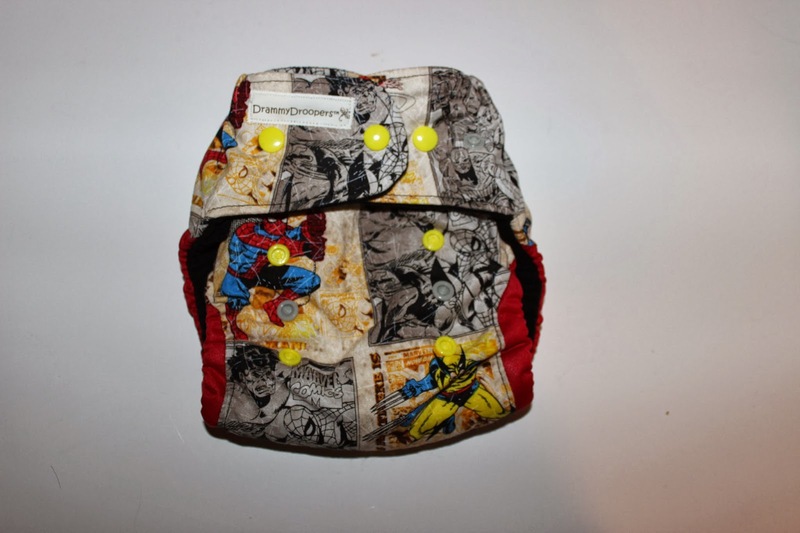 The outside of the diaper is a durable cotton fabric print. Here is the backside. 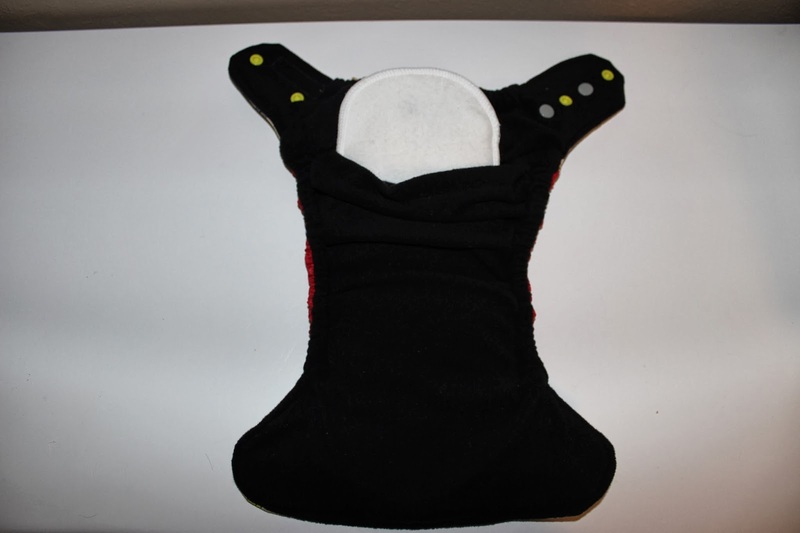 The inside is Black and super soft Micro Fleece and I love the legs are red and really make the diaper stand out. The insert is also included and it snaps in and you can stuff it inside the pocket or lay it inside. The insert is large and super absorbent. 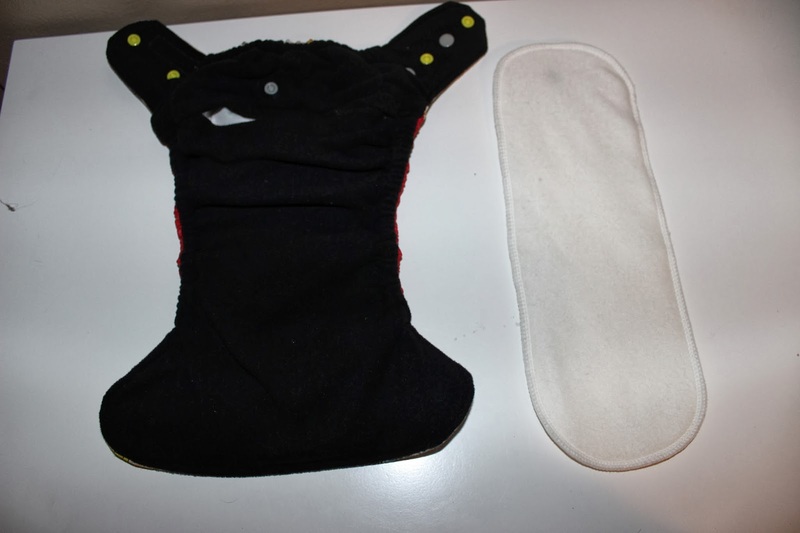 The soaker snaps into fitted diapering system for light to medium wetters, or along with one soaker being snapped in, another can be inserted into pocket located at the back for those heavy wetters. I used a microfiber insert in mine as my guys is a heave wetter. Here is how it looks on. That baby is always on the move. Drammy Droopers is offering a giveaway and 1 lucky TTGG follower will be winning a A12 of their own! I love the Mossy Oak print - but if you had asked me 2 years ago, I would have hated all things camo. lol. Funny how things change. I like the pink leopard print!! so stinkin cute! 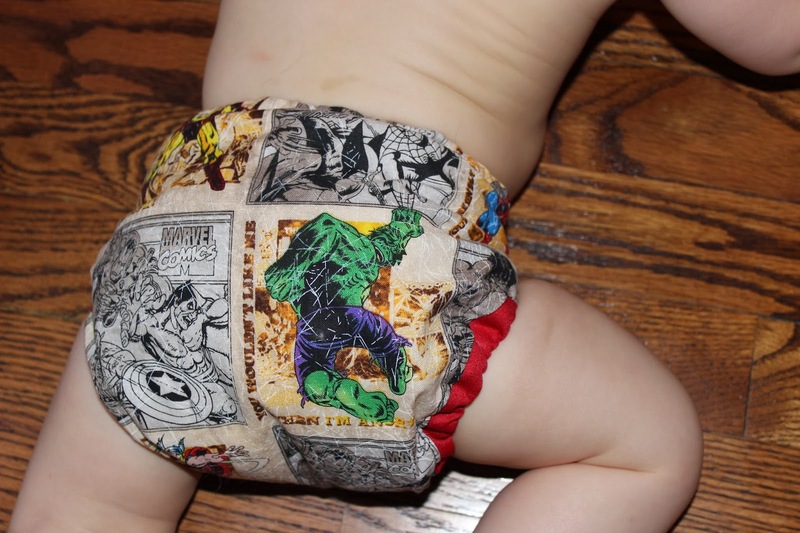 Spidey diaper is so awesome! LOVE IT! Lost in space is super cute! I'd like to get the Lost in Space print. I would love a comic ! I'd choose the lady bug, hot lava or independence! They are all so cute! I would love beach whales! I like the galaxy print! I would choose the green, blue, and brown polka dot print! I'd love to have Action Comic, Oriental Garden or Shark Attack! i would choose the avengers print for our daughter, due at the end of june! I would pick the shark attack print! I really like the "All You Need" print! Lost in space is my favorite; thanks for the chance!! I would choose the shark attack or the lady bugs It would a tough choice there are so many cute prints. My favorite ones are the Camo & the Galaxy one!